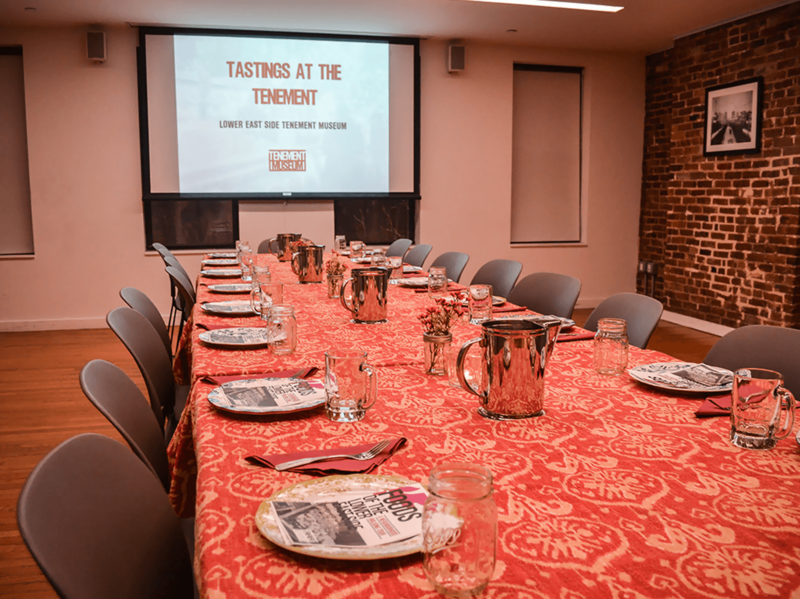 Whether you are planning a corporate meeting, an event, alumni dinner, social celebration, or private evening tour, the Tenement Museum is the perfect venue, offering a truly unique experience for your guests. With various private rooms and spaces, the venue is equipped to host both intimate affairs and gatherings up to 120 guests. Our professional special events staff is here to help plan, customize and coordinate all aspects of your event. 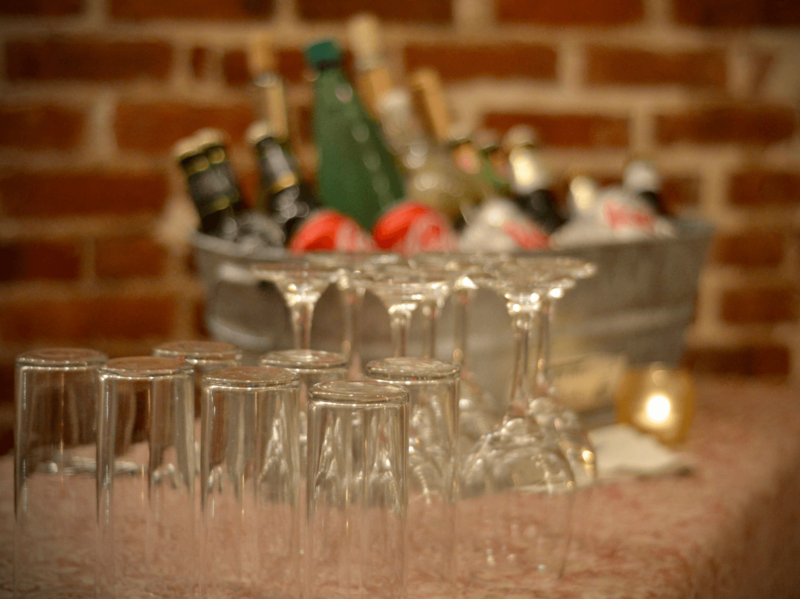 Browse our private event spaces and some of the Tenement Museum’s signature event experiences. 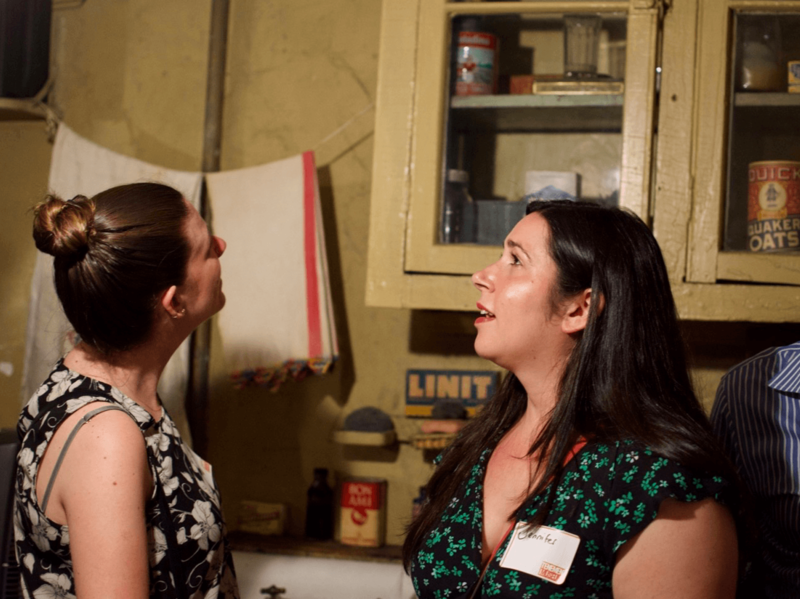 The Tenement Museum offers special event and private evening tour clients a variety of spaces to choose from, catering to varied group sizes and event formats. Fully equipped with our in-house AV and internet access, the Orchard Room is a versatile space for a meeting or presentation as well as sit-down lunch, dinner or reception event. 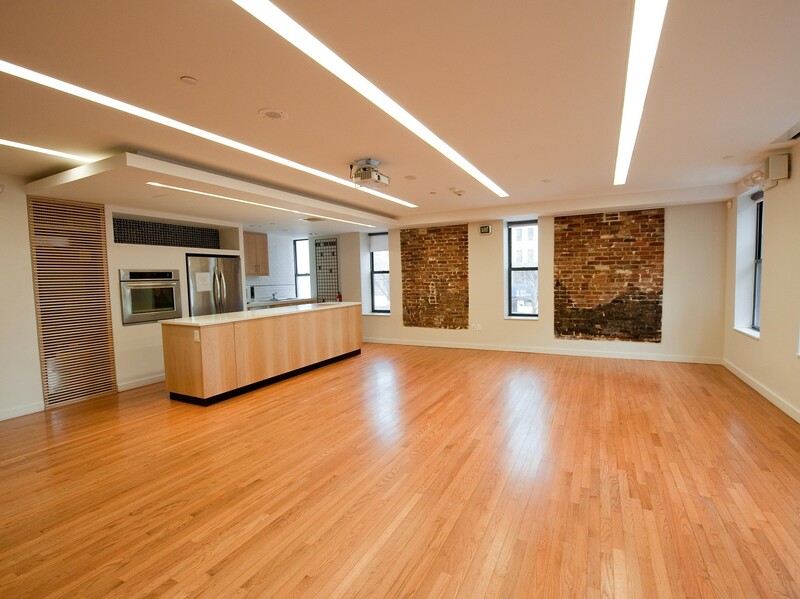 Appointed with our in-house AV, the Delancey Room features a presentation style demo kitchen, perfect for one of our signature interactive event experiences featuring immigrant inspired cuisine. The Allen Room is ideal for board meetings, small lectures or a small cocktail party that may be combined with a sit-down dinner in the adjoining Orchard or Delancey Rooms. 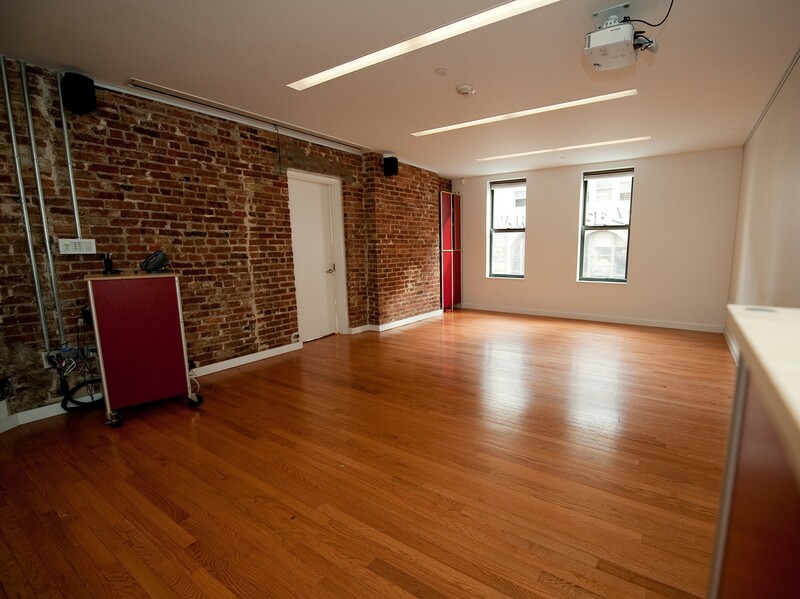 Host an intimate film screening, product presentation, seminar or media announcement in the Tenement Theater. Reserve with the Gallery to add a reception along with the show. 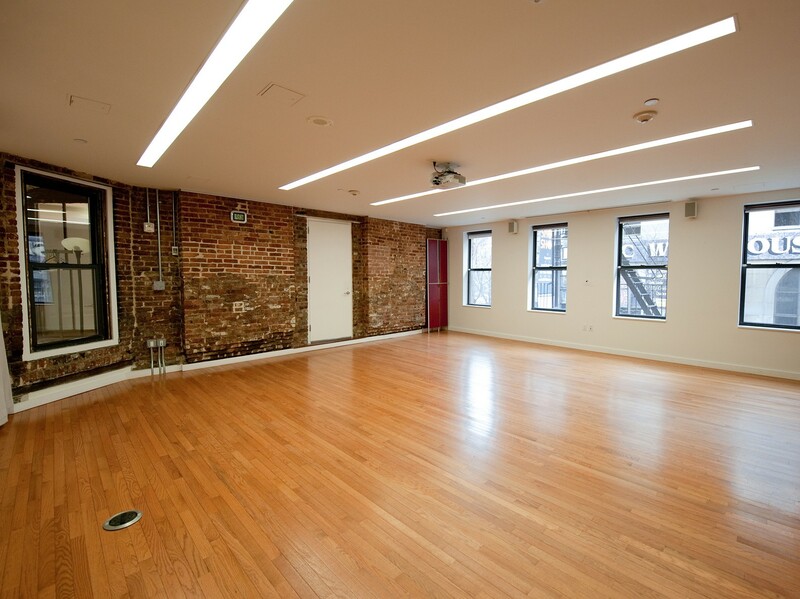 This modern space is ideal for networking events, silent auctions, art exhibits, and cocktail parties. It's also an ideal reception space for events hosted in the Museum Shop. 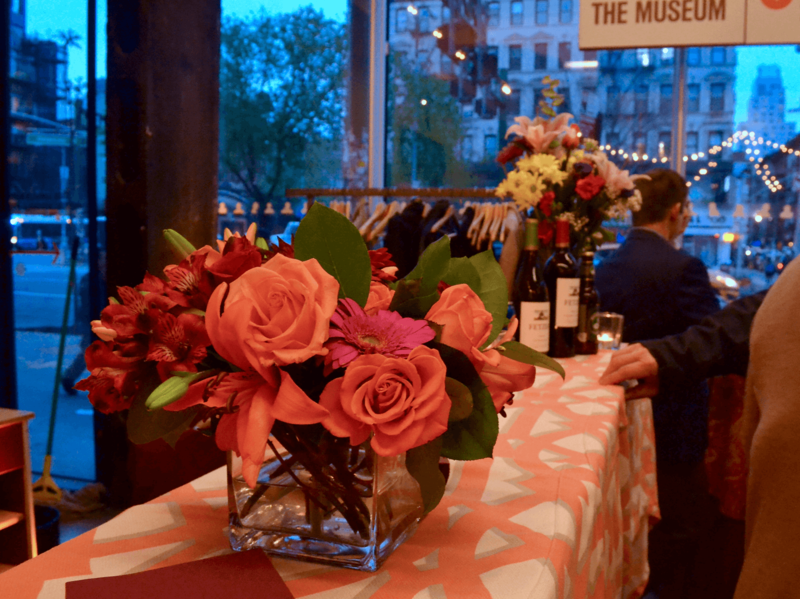 The largest of our private event spaces, the Museum Shop can accommodate various event themes and formats and offers a sprawling ground-floor view of the Lower East Side. 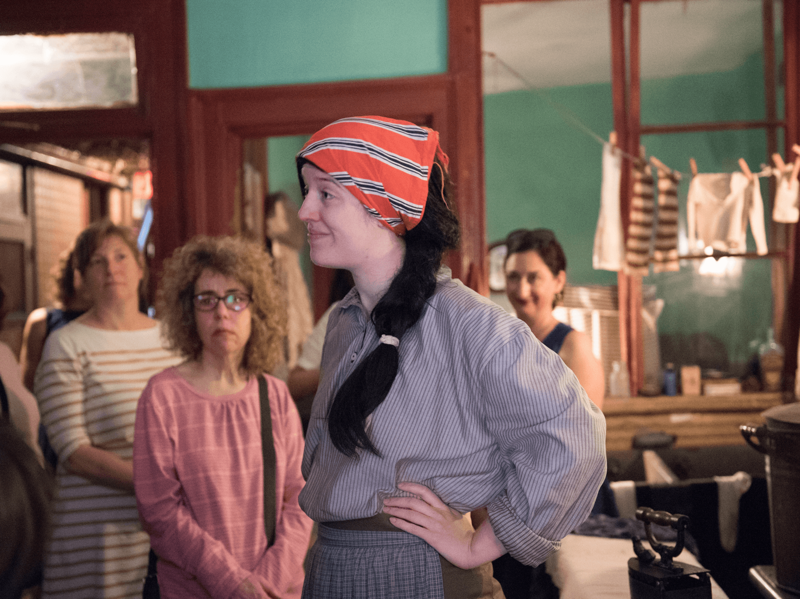 Gather inspiration for your upcoming event with the Tenement Museum’s most popular signature experiences. 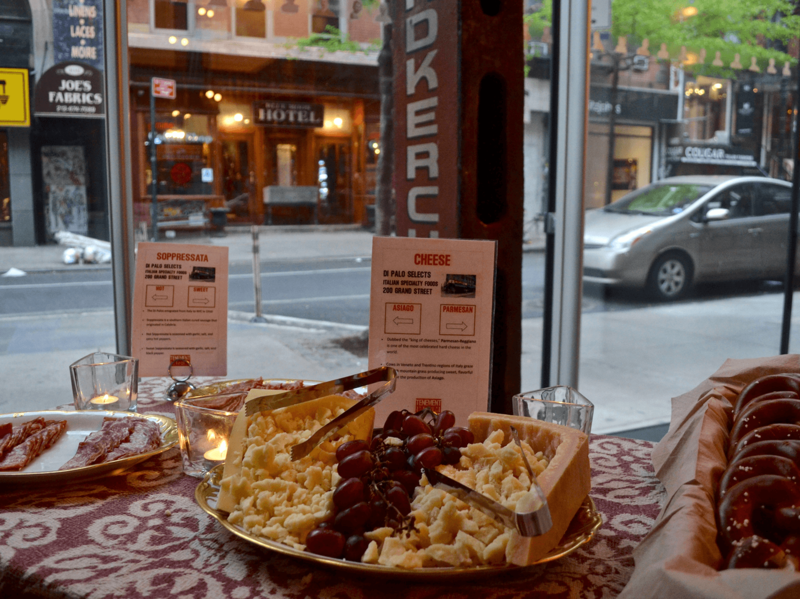 Tours and Hors d’Oeuvres invites guests to taste and experience the unique history of the Lower East Side through custom curated tours of our historic tenement buildings, paired with food tastings from handpicked neighborhood establishments. This popular private event package is uniquely designed to both entertain and educate your guests. 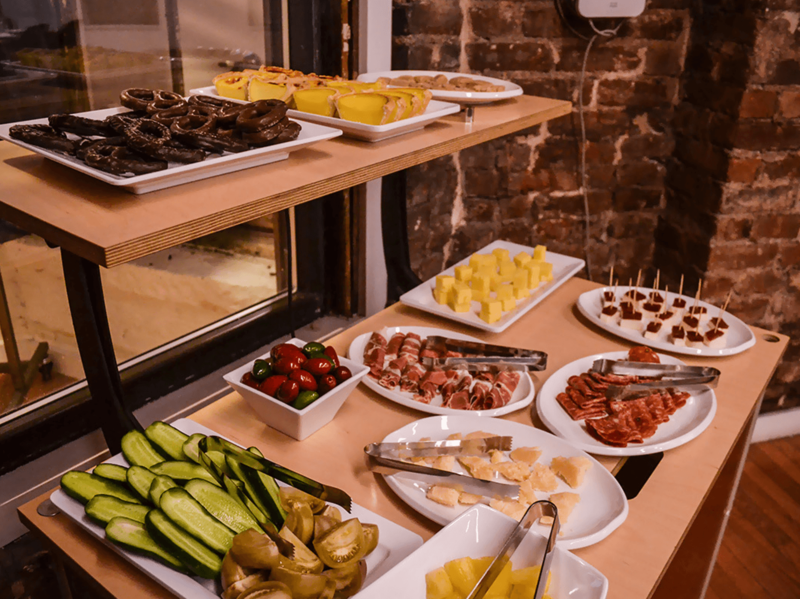 Available as an all-inclusive package, Tour and Hors d’Oeuvres can also be customized to fit your specific event needs. 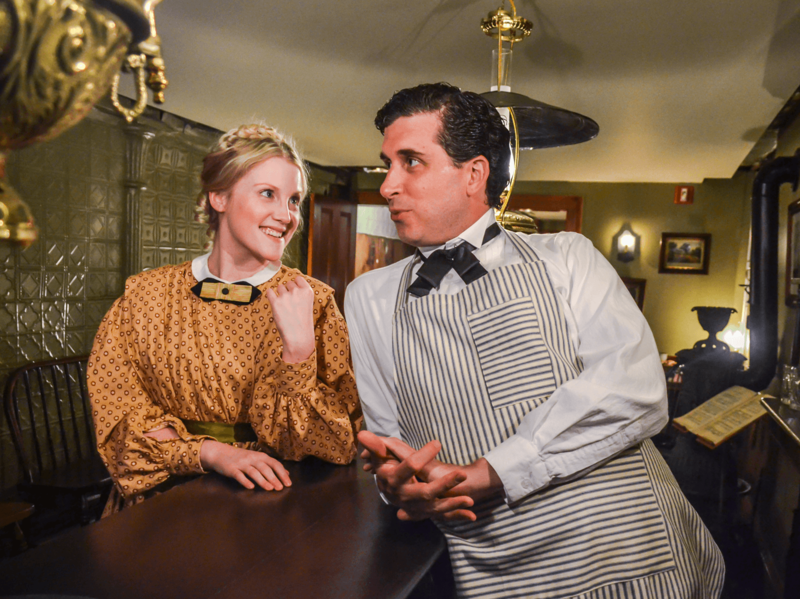 Whether you are planning a social event, corporate outing, or seeking an upgraded tour experience, this signature Tenement Museum event program is a wonderful option. Across cultures, throughout time, it’s the thing that brings us all together —food, and our love for it. 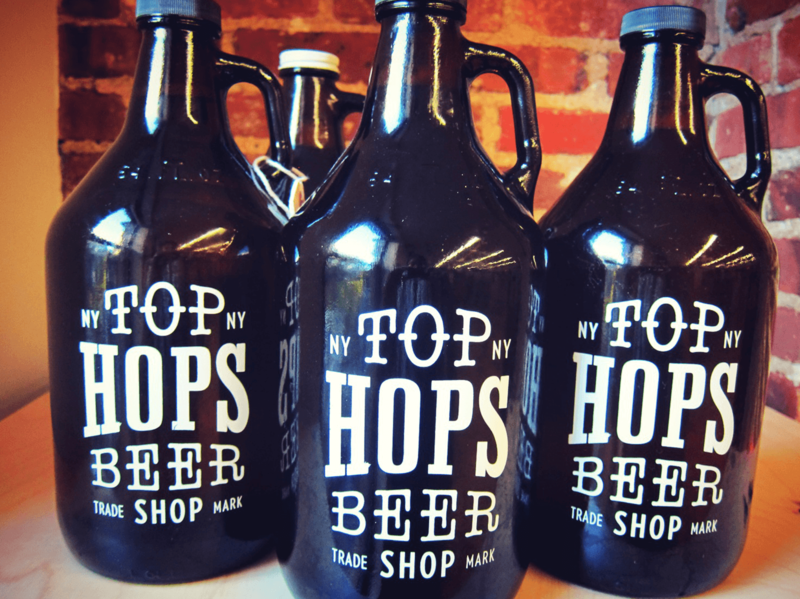 Your guests can get an exclusive taste of the American immigrant experience with Tastings at the Tenement! 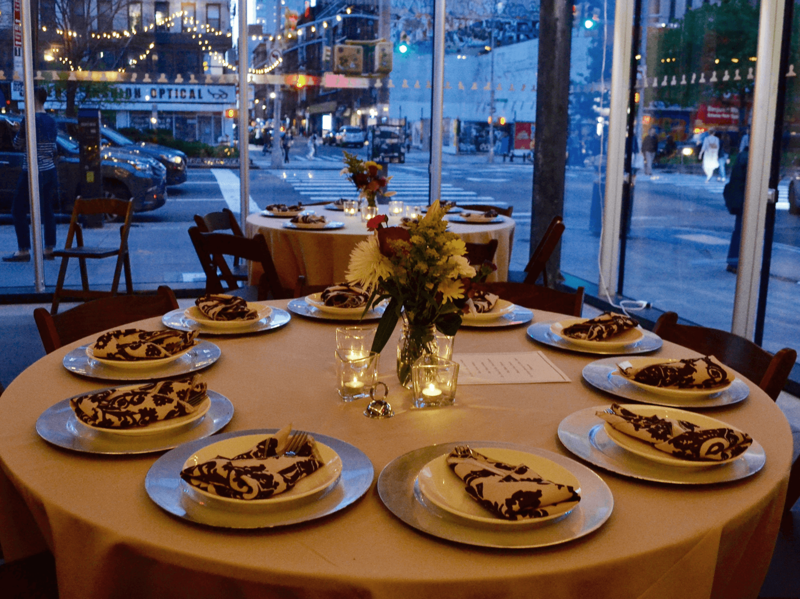 This signature event program offers guests a truly unique culinary tour of the Lower East Side. 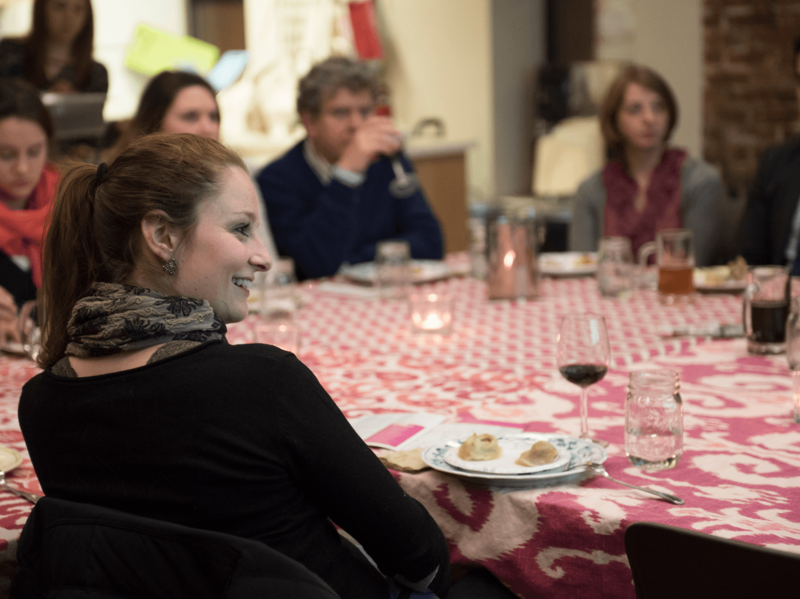 Museum educators will guide your guests through an eclectic menu while exploring the history of various neighborhood establishments and the lasting impact these foods had on American cuisine. 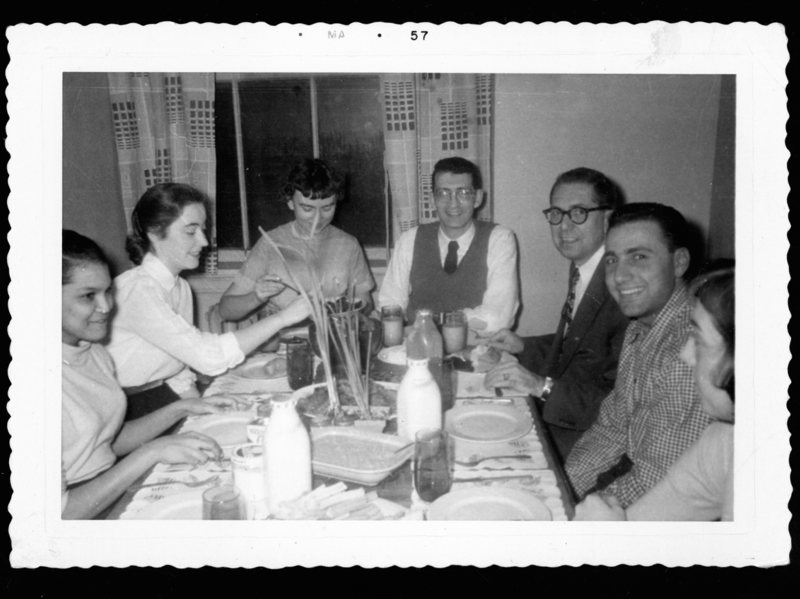 Step into the lives, literally, of three families living at 97 Orchard Street from 1868 to 1935 in this immersive, one-of-a-kind dinner theater experience! Start the evening with cocktails and hors d’oeuvres while your guests prepare to fill the role of characters engaging with the Moore, Levine, and Baldizzi families. 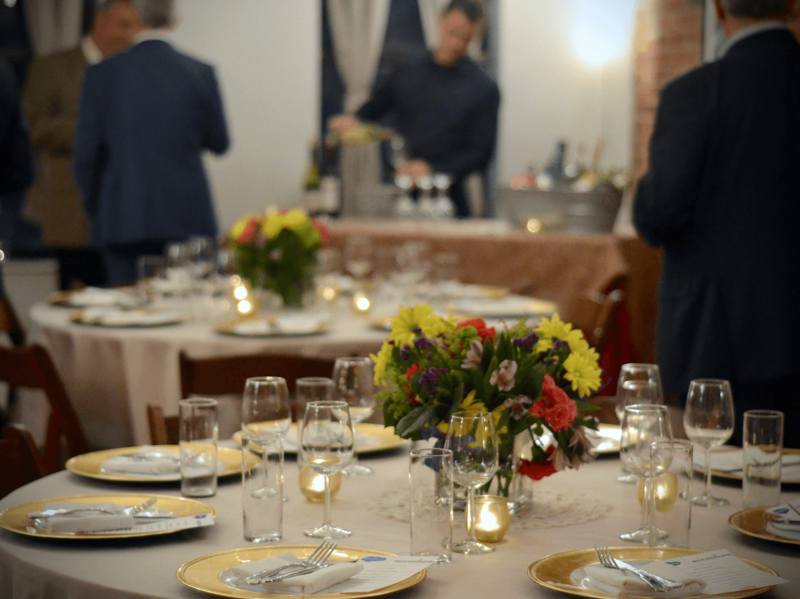 Returning to the 21st century, your guests can discuss the lives of these residents while enjoying a delicious dinner in one of our private event spaces. Dinner LIVE! 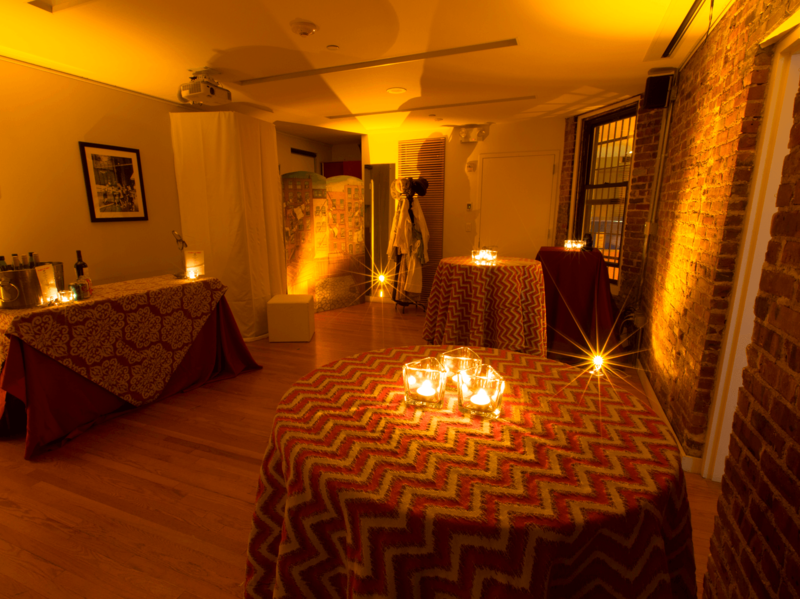 at the Tenement is easily customized to create the perfect private event experience for your group. 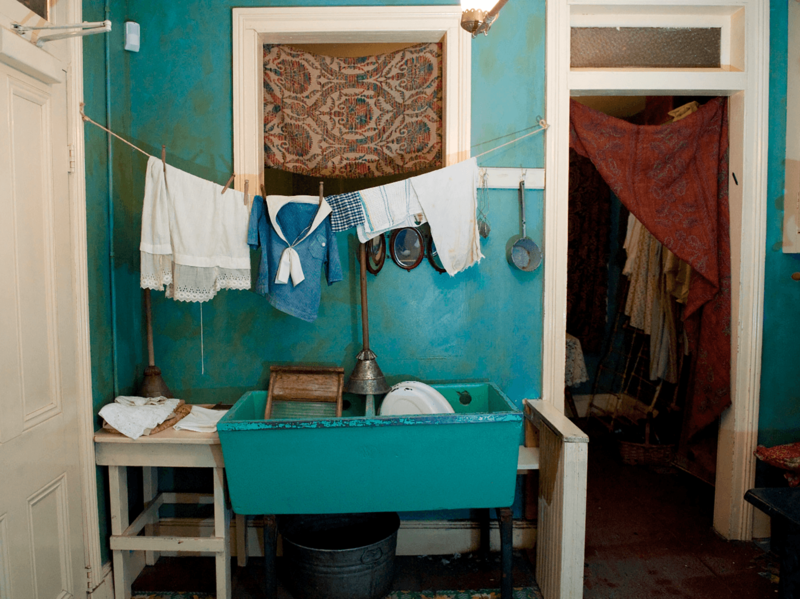 Inquire today about hosting an unique and engaging event at the Tenement Museum! What kinds of special events do you offer at the Museum? 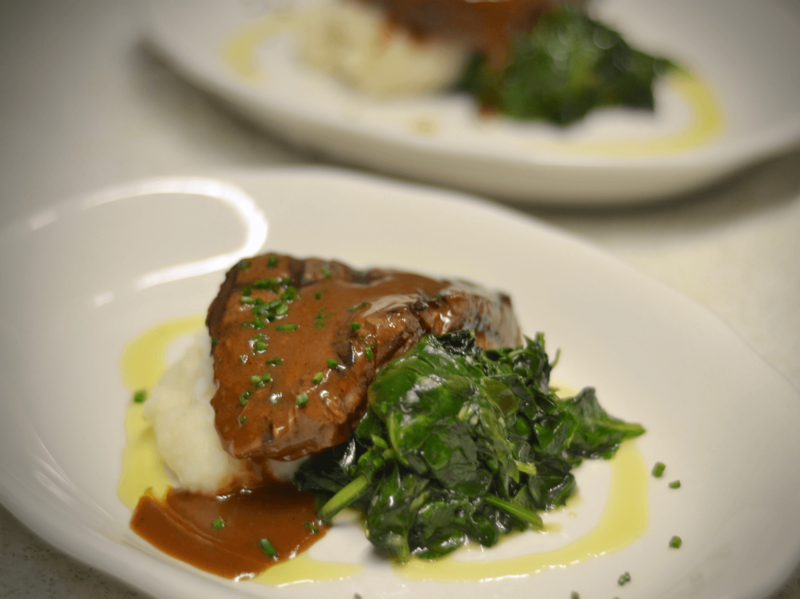 We create custom private events at the Museum and offer signature event experiences for groups up to 120. 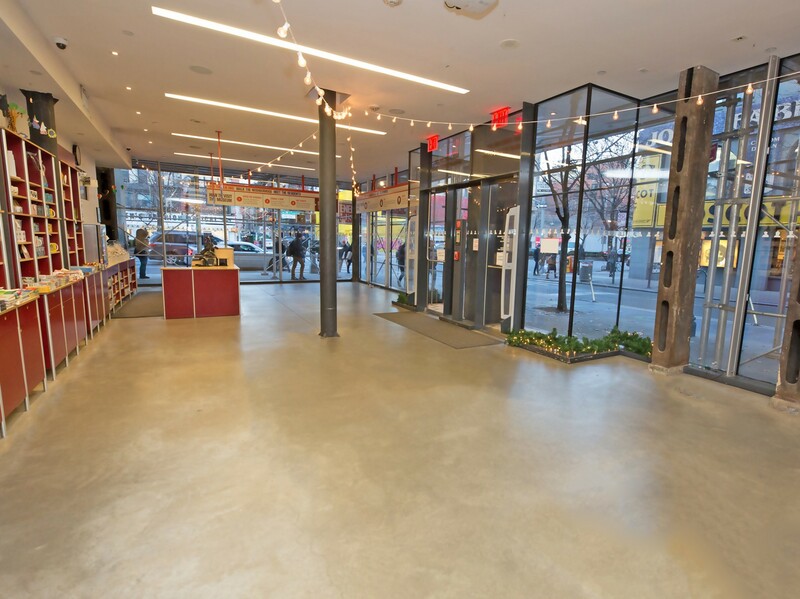 Groups interested in booking an event should complete the Private Event Reservation Form or call Krysta O’Pharrow at 646-518-3002 to provide information and request a tour and space walkthrough. 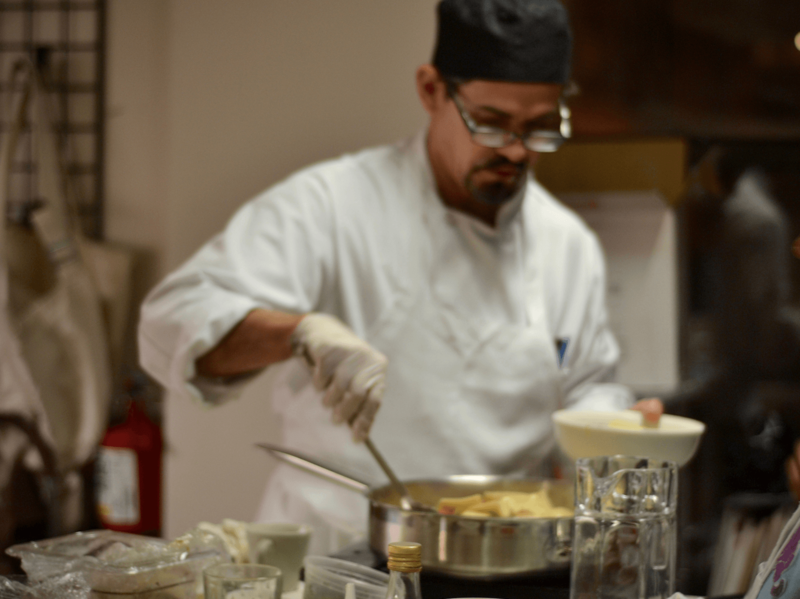 While the Museum offers both in-house catering and a list of preferred caterers, groups are welcome to use their own caterer. 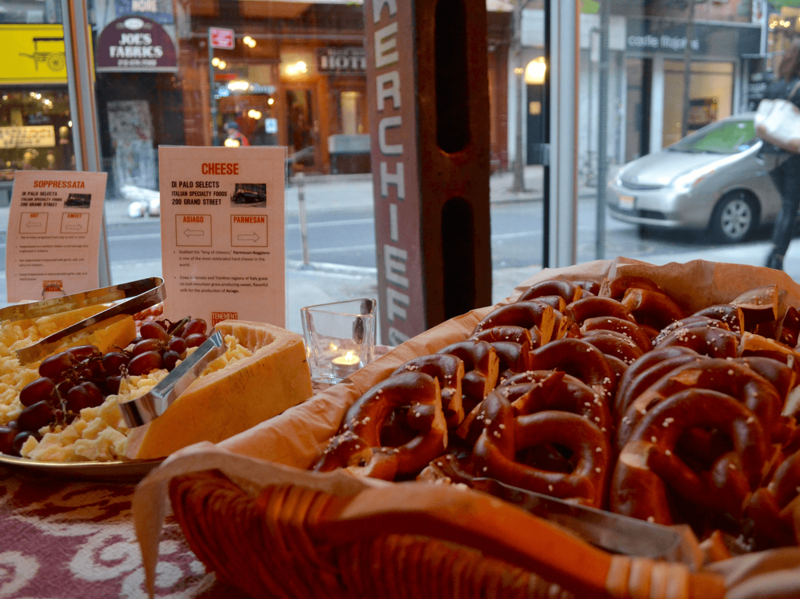 Please contact Krysta O’Pharrow at 646-518-3002 to discuss the Museum’s outside food policies. Are these events wheelchair accessible? 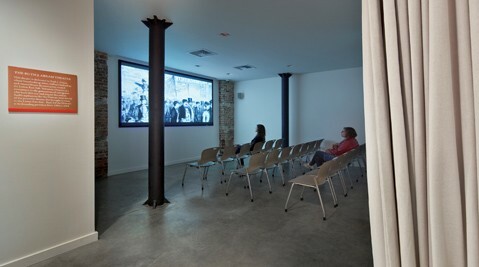 Events are held in the Museum’s Visitors Center, which is accessible by elevator. 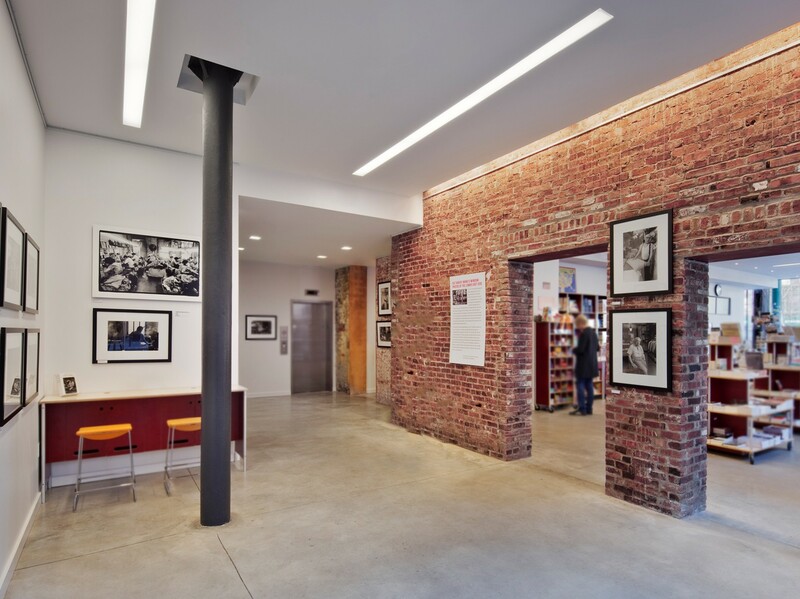 For the tour portion of our events, we offer two programs with wheelchair accessibility: Shop Life and Under One Roof. How do I book a Special Event? Please complete our Private Event Reservation Form to provide important details about your event and a Museum representative will contact you.